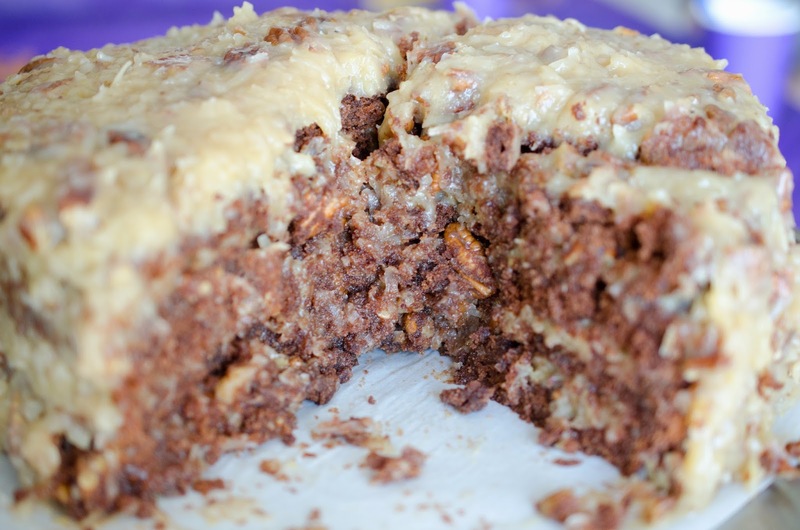 On June 3, 1957, the recipe for German's Chocolate Cake appeared in the Dallas Morning Star "Recipe of the Day" submitted by Mrs. George Clay. 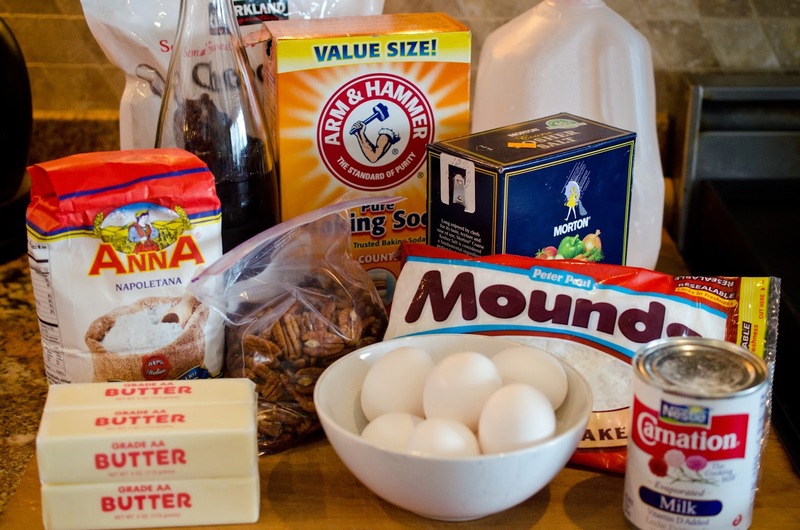 The recipe is named for the brand of chocolate used in the recipe, German's chocolate. German's chocolate was created by Sam German for the Baker's Chocolate company in 1852. 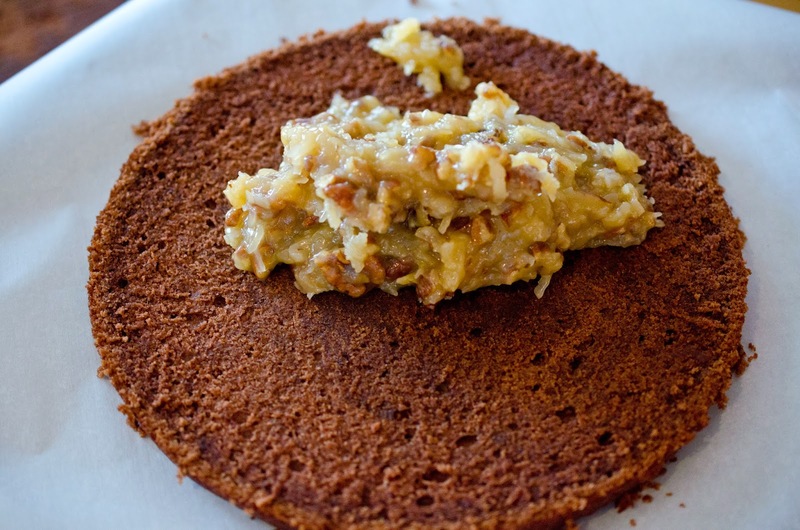 German's chocolate is similar to semi-sweet chocolate in taste. I first made this cake for my husband's birthday a few years ago. Since then my youngest daughter has requested it for her birthday. I made this cake for my daughter Haley's 10th birthday this weekend. This recipe is completely homemade. Yummy cake, half frosting and half cake! Awesome! 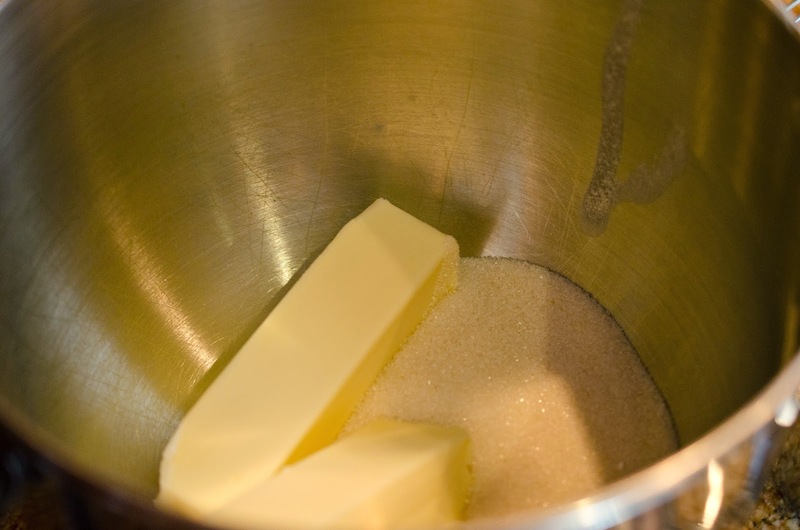 Place butter and sugar in stand mixer bowl and mix with a whisk attachment until fluffy. Does that look like fluffy sugar? I always assume yes, since fluffy and sugar just don't make sense to me truthfully. Fluffy can be used to describe sugar spun into cotton candy but mixed with butter I don't get it. 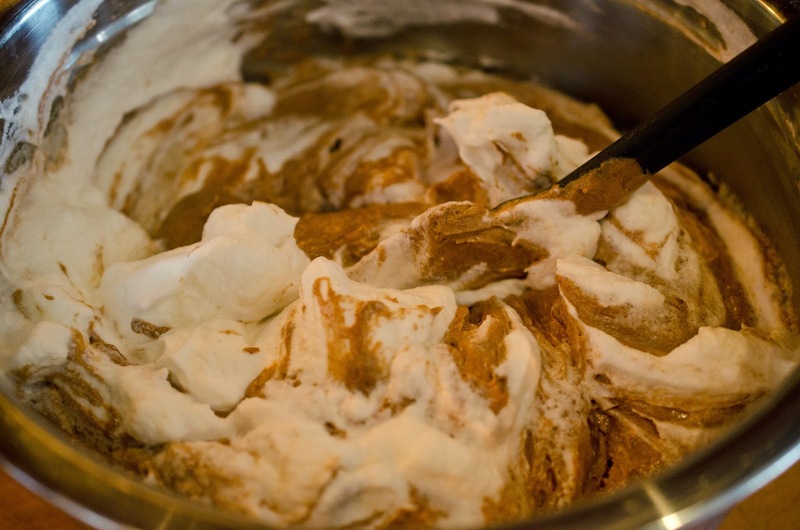 Anyway, whip it good until it looks like this. 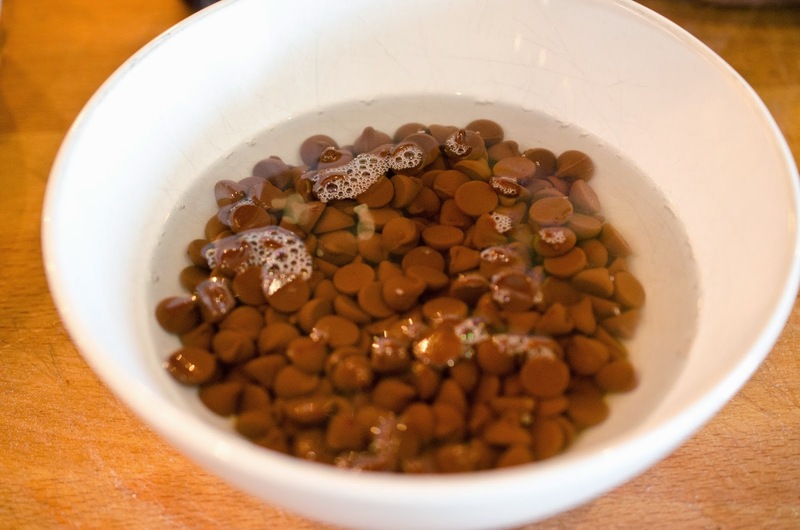 Place chocolate chips in a bowl and add hot water. Allow to sit for 1 minute. I used my electric water kettle to heat up the water. 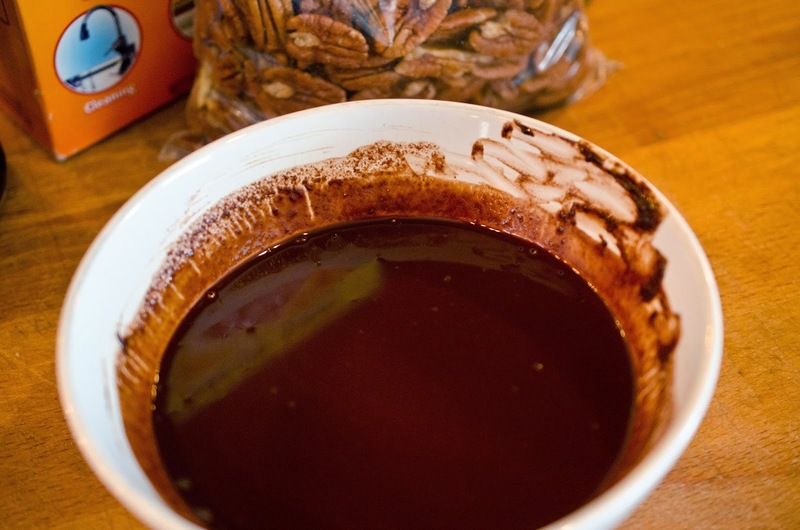 After the minute has ended, stir the chocolate until it looks uniform in appearance and texture. 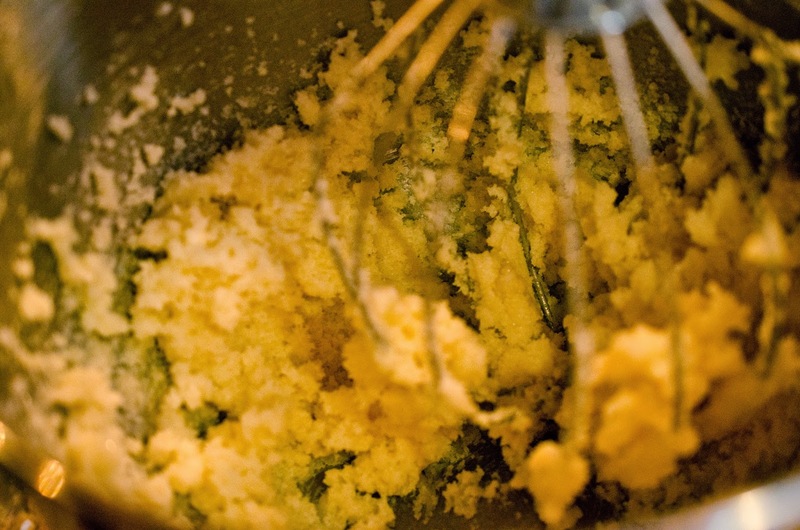 Add egg yolks to butter sugar mixture and beat on low until combined. 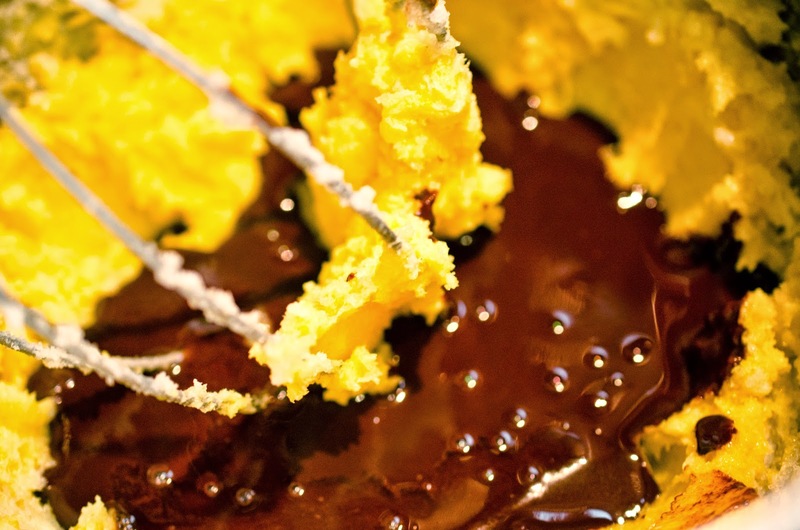 Pour melted chocolate into cake batter and mix. 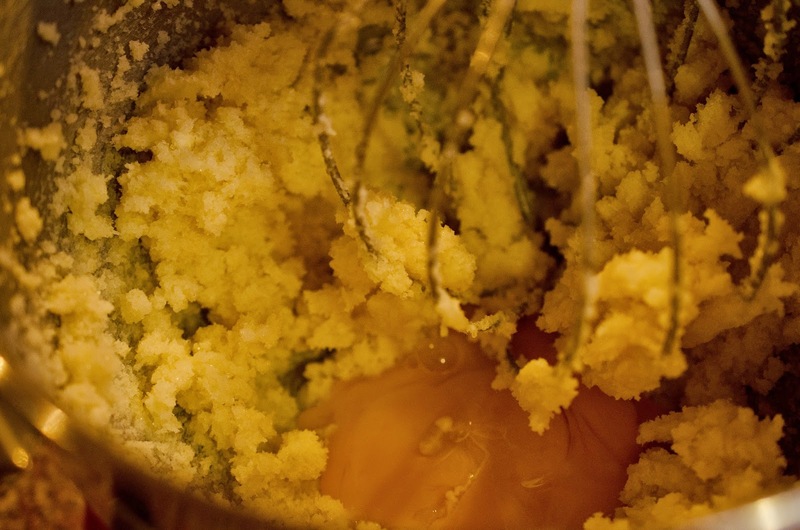 Gently fold in 1/3 of egg whites, and repeat until all egg whites are in the batter. eat it all right now, but I will cook it first. 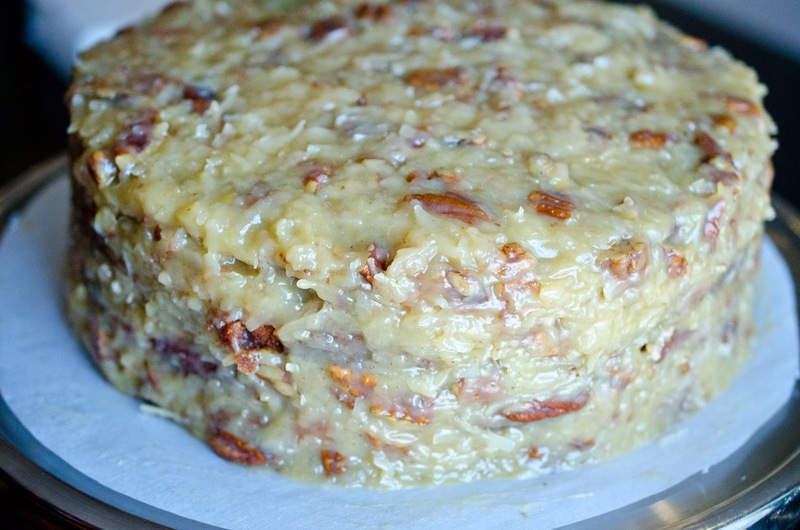 minutes or until a toothpick inserted in the middle of the cake comes out clean. 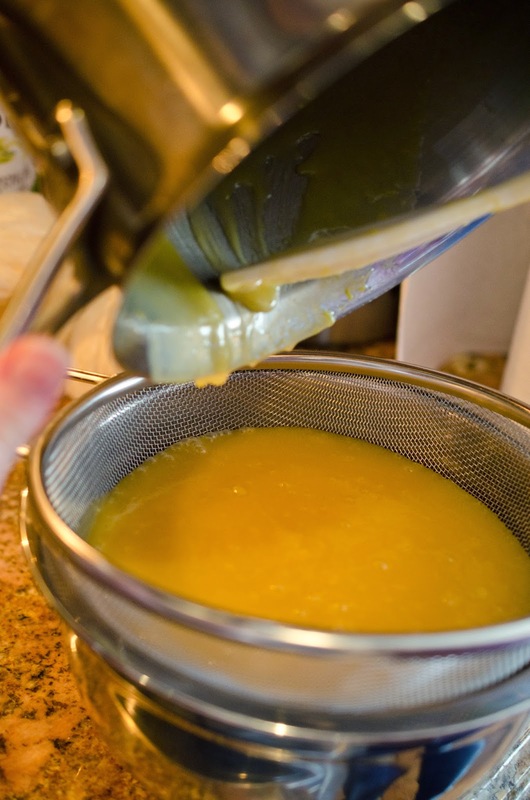 Allow cakes to set in the pans for a few minutes and remove to cooling racks. 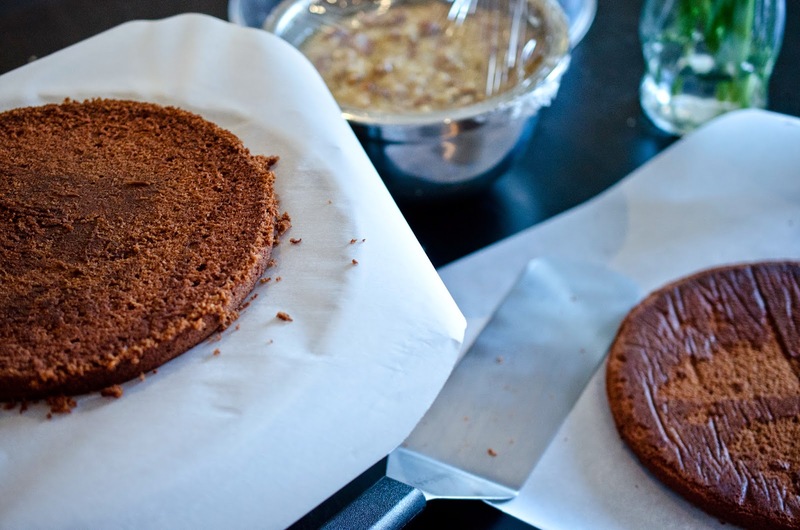 When cakes have cooled, place on parchment paper. over medium heat. 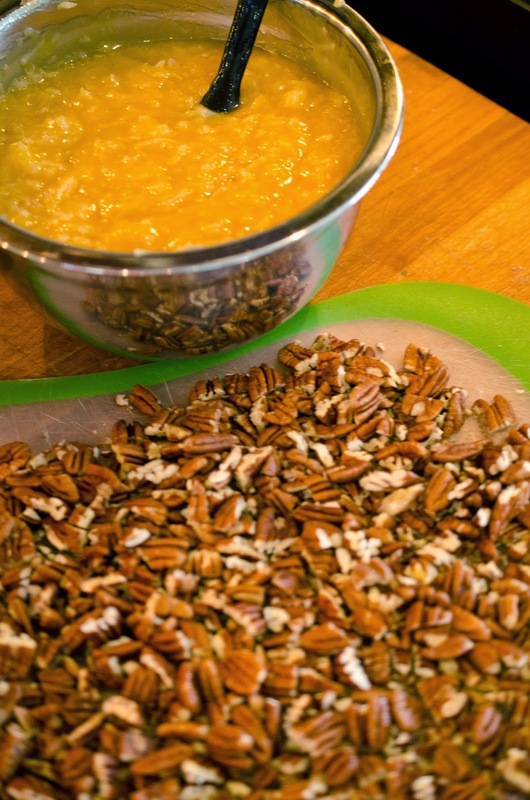 Bring to a simmer and cook for 12 minutes or until thick. 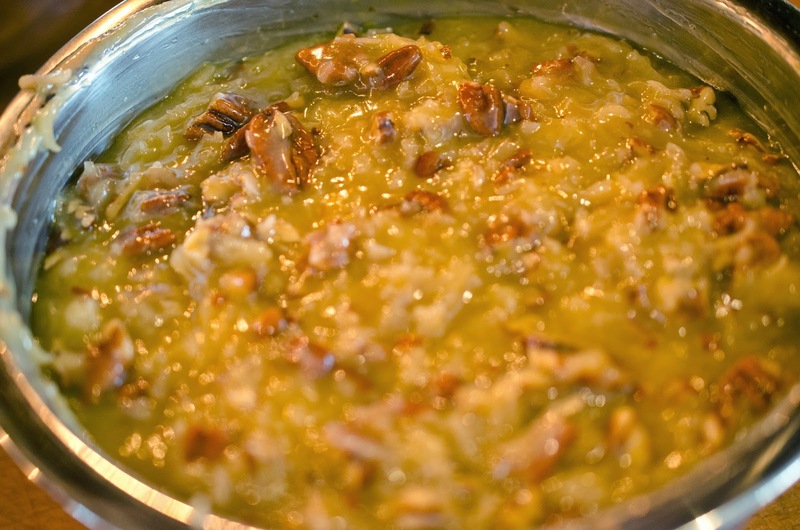 Stir in coconut and chopped pecans. Look at all that frosting. Yes, I doubled the frosting for my recipe and I am okay with it. plate to evenly cut the cake in half. Cut both cakes, now you have four layers. with about 1 1/2 cups of frosting. If that seems like too little, add more. Spread frosting evenly over cake. Repeat until all four layers have been stacked together. Last step, take the remaining frosting and cover the whole cake. 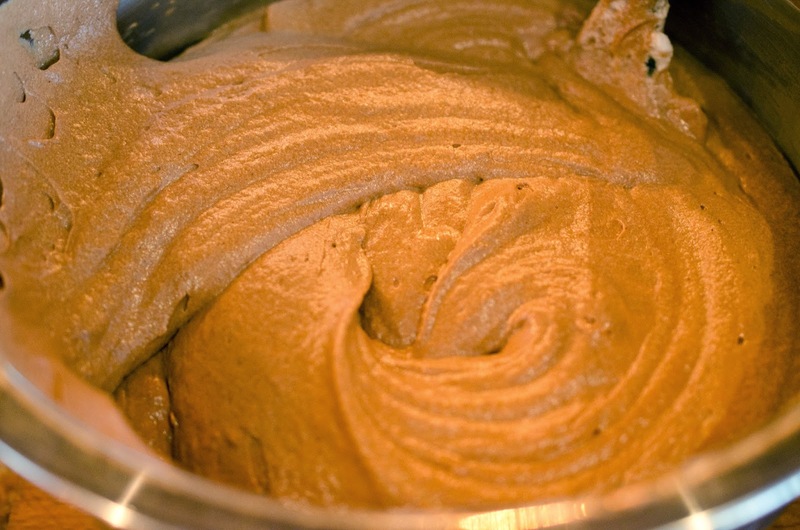 After the minute has ended stir the chocolate until it looks uniform in appearance and texture. 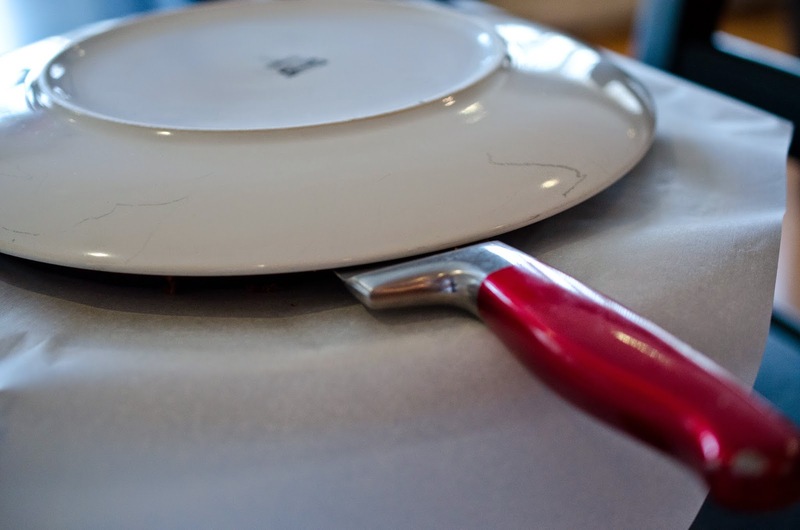 Prepare two 9 inch round cake pans by rubbing butter on the inside and placing parchment paper on the bottom. 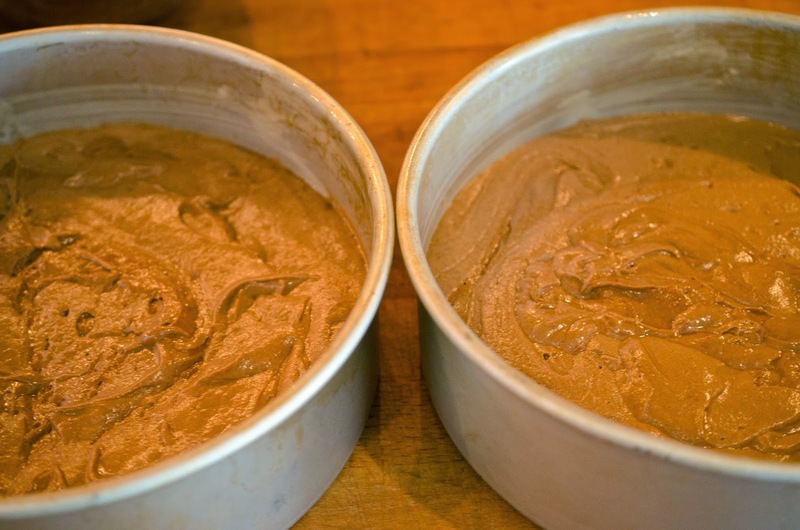 Divide cake batter between the two prepared 9 inch cake pans. 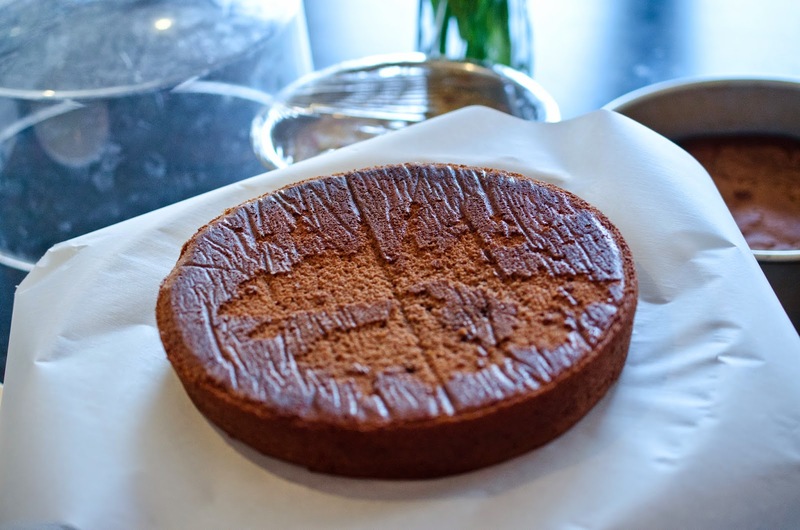 When cakes have cooled, place one of the cakes on a parchment paper lined cake stand. 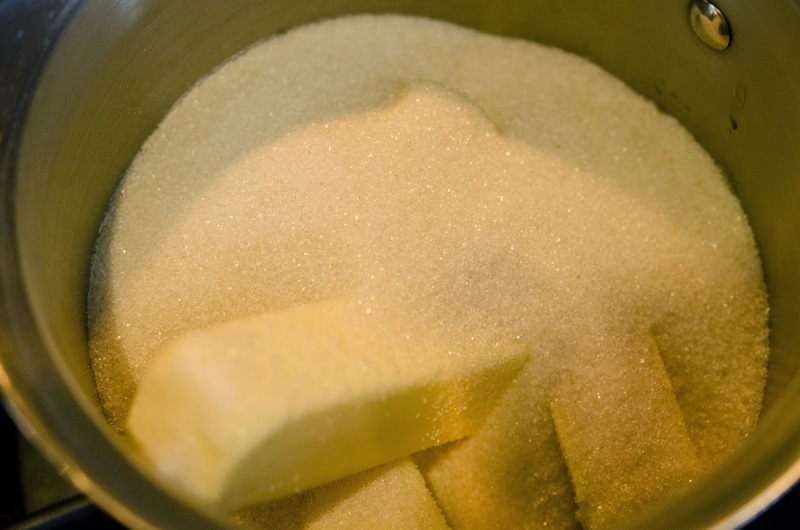 Combine sugar, butter, evaporated milk, egg yolks, and vanilla extract in medium saucepan over medium heat. Bring to a simmer and cook for 12 minutes or until thick. Cut both cakes, now you have four layers. With the cut side up for the first layer, scoop some of your cooled frosting in the middle. I started with about 1 1/2 cups of frosting, if it seems to little add more. Spread frosting evenly over cake, repeat until all four layers have been stacked together. Use the remaining frosting and cover the whole cake. This cake is so delicious. 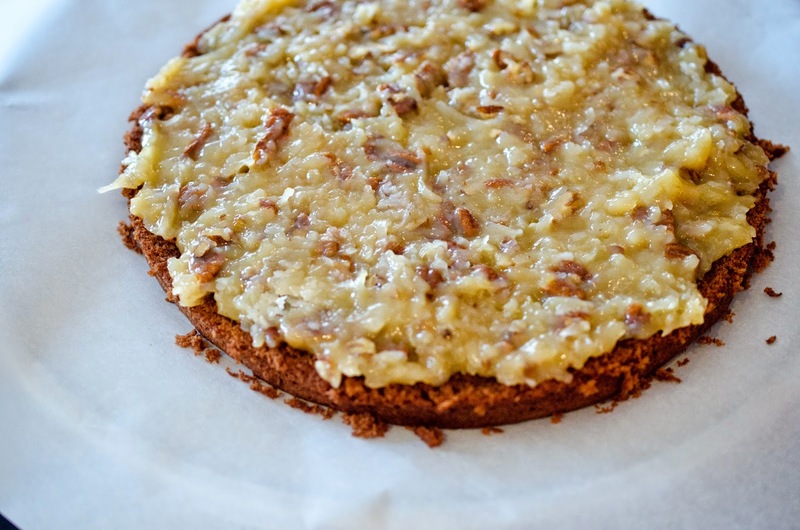 It is not too rich, like some German('s) Chocolate cakes are, but the frosting was divine and the nuts were fresh and soft. I just had a serving this evening, folks - I can still taste the chewy texture of the coconut and cake. Yum, yum yum.